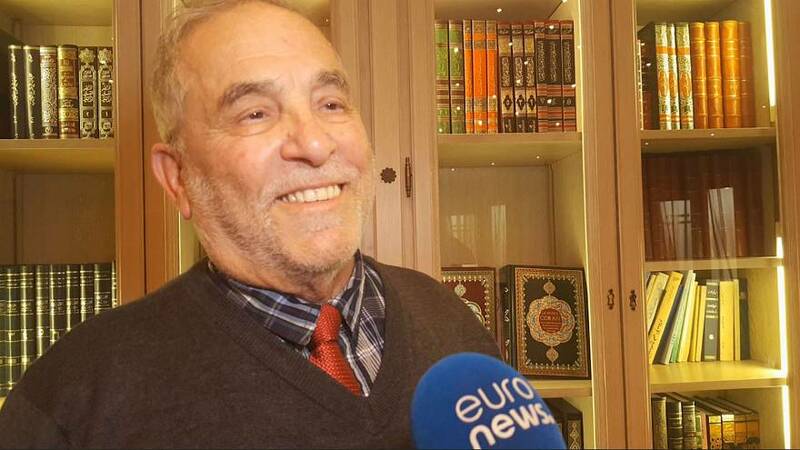 A senior figure in France's Muslim community has called upon French Muslims to donate to the reconstruction efforts on Paris' Notre Dame Cathedral. "I think it is our obligation as citizens and as Muslims to participate in the reconstruction of this beautiful cathedral," Kamel Kabtane, President of the Council of Rhone Mosques, told Euronews. Rhone is a French department situated in the east of the country. "I call upon Muslims to show solidarity and to support Notre Dame en masse however they can," he added. The French Council of the Muslim Faith (CFCM), an official interlocutor with the French state in the regulation of Muslim religious activities, echoed Kabtane's call. It appealed "to the Muslims of France" in a statement, asking them "to participate in the financial effort for the reconstruction of this architectural masterpiece that is the glory of our country". Kabtane said the whole Muslim community was moved by the dramatic fire at the monument that "represents and is the image of France". "We will, in the future, mobilise the Muslim community to participate financially in this operation," the Muslim senior figure promised. His final message to his "Christian brothers" was that they "could have confidence because this was God's will and maybe God will help us rebuild it (Notre Dame)". A blaze broke out on the Paris landmark on Monday evening, felling its spire and causing the roof to collapse. But more than 400 firefighters managed to extinguish the flames and preserve the stone structure of the 12th-century cathedral. Generous donors have pledged more than €750 million to rebuild France's fire-hit Notre Dame cathedral. French President Emmanuel Macron told the nation that Notre Dame would be rebuilt within a time frame of five years. In a live, televised, presidential address to the nation, he vowed the cathedral would be even more beautiful than it was before.